She lost her brother Michael Jackson in 2009 when he was only 50-years-old. And now LaToya, 61, is finally getting some input on what he thinks beyond the grave. On Monday the beauty toldmessages-teases-upcoming-reading-on-hollywood-medium"> E! News that she received some helpful insight when she talked to Tyler Henry on the season finale of Hollywood Medium, which will air on Wednesday. Turns out the King Of Pop has been sending his sister messages to let her know he is around. One of them is when the lights flicker when she's around. 'That's him. I know it's not the bulb. They're flickering. 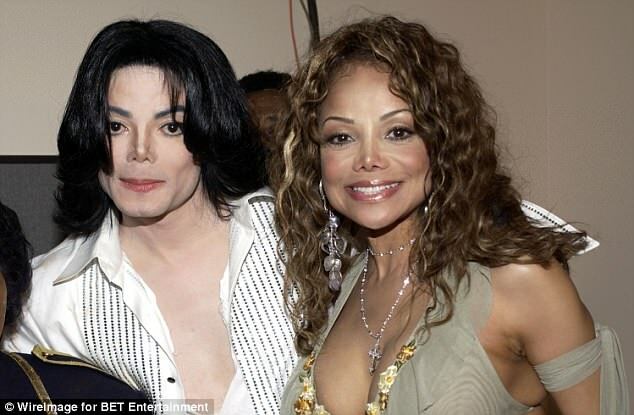 So when that happens that means that he's around,' La Toya said as she wore a white headband and black suit. 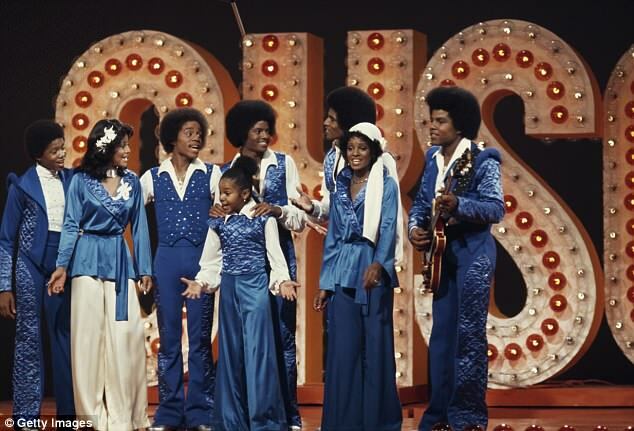 The singer/songwriter, actress, businesswoman and television personality - who is the fifth child of the Jackson family - also said others in the family wonder about Michael. 'Everyone in the family,' she said. 'There are a lot of unanswered questions of course. LaToya - who is best known for her 1984 single Heart Don't Lie as well as being on Celebrity Apprentice with Donald Trump in 2011 - added: 'Tyler answered [the questions] for me. 'He came through really well which was great. I had questions in my head, but before I could even ask Tyler the questions he was giving me answers to them and he didn't even realize he was doing that. La Toya's full reading will be on Hollywood Medium With Tyler Henry on Wednesday at 9 pm on E! She was last seen at the Race To Erase MS event at the Beverly Hilton Hotel in Beverly Hills over a week ago. The songbird had on a beige satin dress with ruffles and one strap over one shoudler. She added a black belt and over-the-knee boots. But all eyes were on LaToya's Eighties inspired twisted headband that made her look youthful.